Click through the gallery of our favorite Polos to find the perfect garments! FILL OUT OUR NIFTY FORM BELOW TO GET A QUOTE FOR YOUR quality Polo order! To learn about our artwork fees, check out F.A.Q. in "The Basics" tab at top of your screen. I have artwork that is digitized and stitch ready. I have a logo that will need digitized. 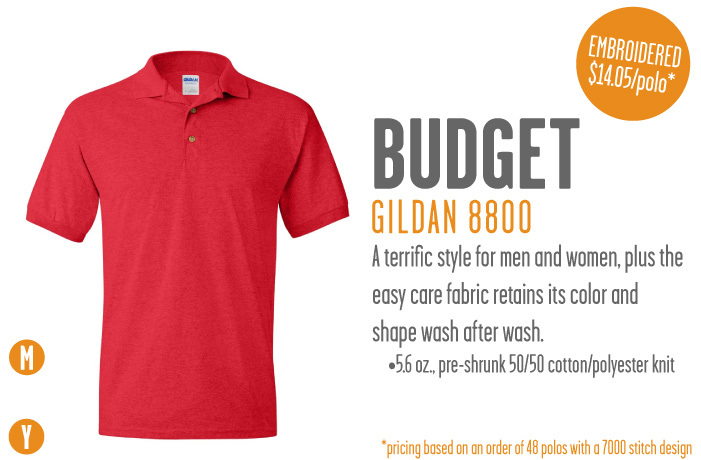 In order to provide accurate pricing, we absolutely require a polo style, stitch location(s) and artwork details. If you haven't included this information please provide any additional information or variables for your order to help us provide you a window of pricing.